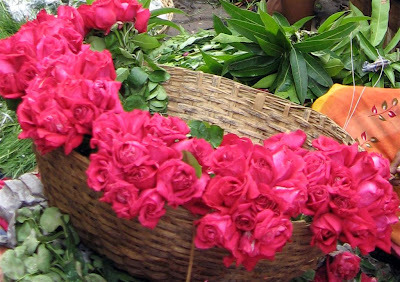 Ruby Red Roses for sale at the old Dadar market. 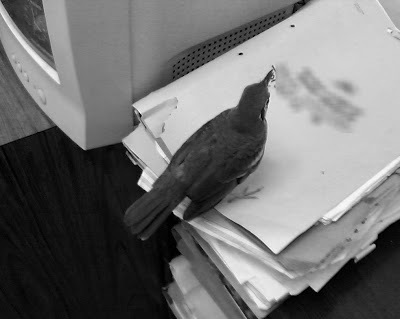 :) A bird in the office is worth...... ?? 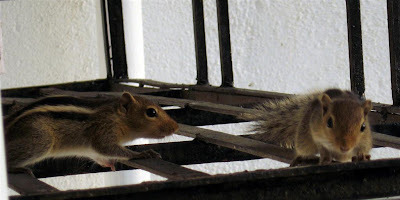 These squirrels keep rambling up and down all day nibbling at plants and whatever else they can lay their tiny paws on. 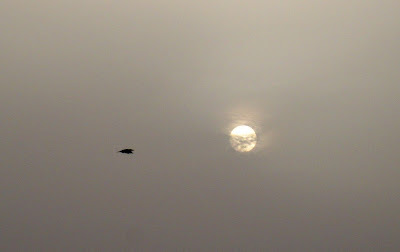 A crow flying past the veiled sun at dusk in Mumbai.. 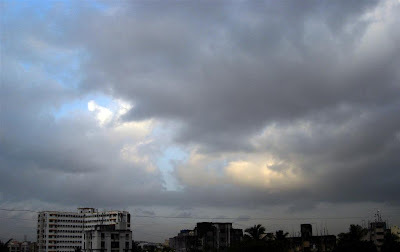 The Mumbai sky at 0706hrs this morning! 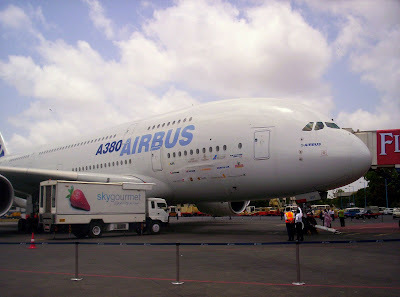 The A380 AIRBUS had come to Mumbai airport in May2007 on a demo flight. Had then managed to get a picture of the world's largest aircraft. The Airbus A380 is a double-deck, wide-body, four-engine airliner manufactured by the European corporation Airbus, an EADS subsidiary. The largest passenger airliner in the world, the A380 made its maiden flight on 27 April 2005 from Toulouse, France and made its first commercial flight on 25 October 2007 from Singapore to Sydney with Singapore Airlines. The aircraft was known as the Airbus A3XX during much of its development phase, but the nickname Superjumbo has since become associated with it. The A380's upper deck extends along almost the entire length of the fuselage, and its width is equivalent to that of a widebody aircraft. This allows for a cabin with 50% more floor space than the next-largest airliner, the Boeing 747-400 and provides seating for 525 people in standard three-class configuration or up to 853 people in all economy class configuration. The A380 is offered in passenger and freighter versions. The A380-800, the passenger model, is the largest passenger airliner in the world, but has a shorter fuselage than the Airbus A340-600 which is Airbus' next biggest passenger aeroplane. ABC Wednesday - J for Jalebi! Jalebi is a fried sweet made from maida (wheat flour), commonly prepared in India, Pakistan and Bangladesh. Jalebi is thought to have originated in the northern India, most likely in the Punjab region. It is made by deep-frying batter in a pretzel shape, instead of the funnel cake shape common in the U.S., then soaked in syrup. 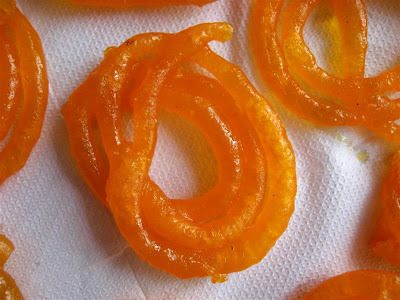 Jalebis are bright orange or yellow in colour, but are also available in white. It can be served warm or cold. It has a somewhat chewy texture with a crystallized sugary exterior coating. The sugars get partly fermented which adds flavor to the dish. Jalebi is one of the most popular sweets in India and is served as the Celebration Sweet of India especially during the national holidays like Independence Day and Republic Day in the government offices, defence and other organisations. Jalebi is similar to the sweet referred to as "Zangoola", popular in the middle east. The Persian word for Jalebi is "zoolbiah," while it is called "jeri" in Nepal, derived from jangiri, and the Mogul Emperor Jahangir. 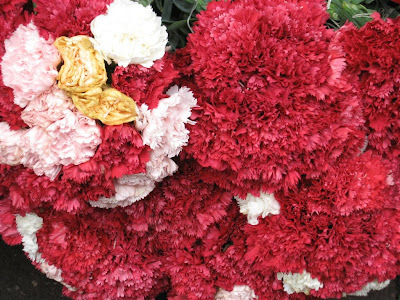 Carnations on sale at the old flower market in Dadar. For more Ruby Red displays please click on the image below and enjoy! A clock strung among the bells! Odd! Does it signify the toll of time?! This is Ghanteshwar or Lord of the Bells, a temple dedicated to Lord Hanuman (monkey God). 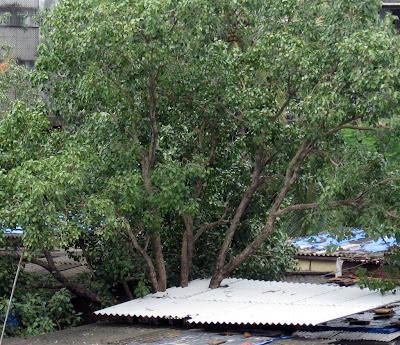 This is in Khar, a suburb of Mumbai. 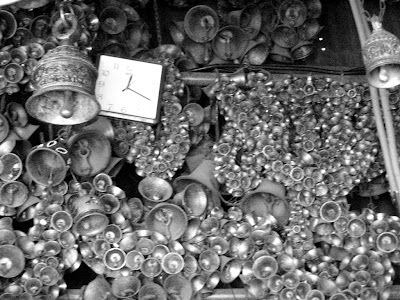 Devotees donate a bell to the temple as and when their wishes are fulfilled. Wonder if the clock was donated by some devotee who was granted time?! Twins at sea?! 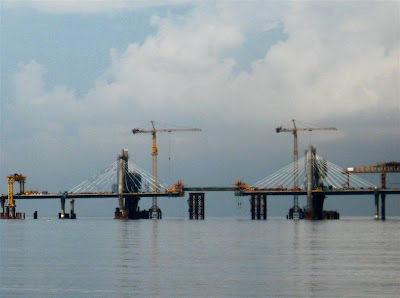 Part of the bridge being constructed to connect Bandra and Worli across the sea in Mumbai. It is known across South Asia as a medicinal plant, commonly used in Ayurveda, and has an important role within the Vaishnavite tradition of Hinduism, in which devotees perform worship involving Tulsi plants or leaves. There is also a variety of Ocimum tenuiflorum which is used in Thai cuisine, and is referred to as Thai holy basil, or kha phrao —not be confused with ordinary "Thai Basil", which is a variety of Ocimum basilicum. 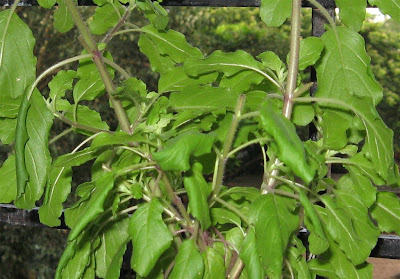 Followers of Hindu traditions often keep a Tulsi plant in front of their house. On a specific day each year known as 'Kartik Shukla Dwadashi' (usually about two weeks after Diwali) there is a tradition wherein Tulsi plants will be beautifully decorated with structures made of sugarcane, mango leaves and flowers and then a puja (form of worship) is offered. 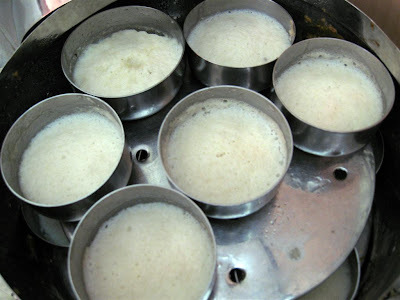 ABC Wednesday - I for Idli! 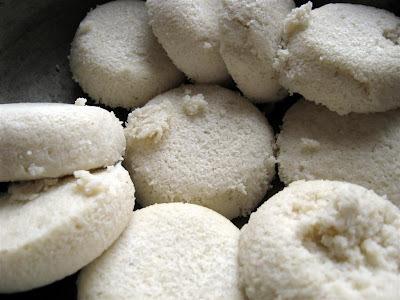 The idli is a savory cake that originated in South India and now very popular as fast food all over India. The cakes are usually two to three inches in diameter and are made by steaming a batter consisting of fermented black lentils (de-husked) and rice. The fermentation process breaks down the starches so that it is more readily metabolized by the body, and is considered a health food. Most often eaten at breakfast or as a snack, idlis are usually served in pairs with chutney, sambar, or other accompaniments. Mixtures of crushed dry spices such as milagai podi are the preferred condiment for idlis eaten on the go. 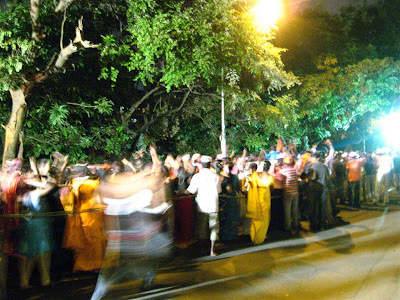 Thousands of Ganesh idols of various sizes are taken for immersion in huge processions with devotees dancing all along the route to the immersion point. It is a nightmare for the traffic authorities but the Mumbai traffic police does an excellent job to ensure smooth proceedings for the devotees and the normal traffic. I could not go to the immersion point, hence I took this picture from the TV on which the immersion was being telecast live. 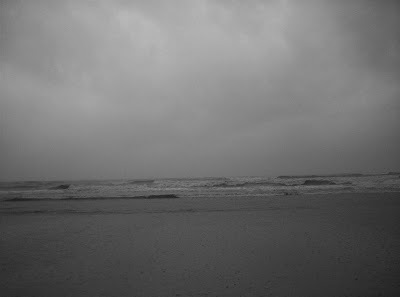 A bleak rainy day at the Juhu beach in Mumbai. A beautiful specimen. 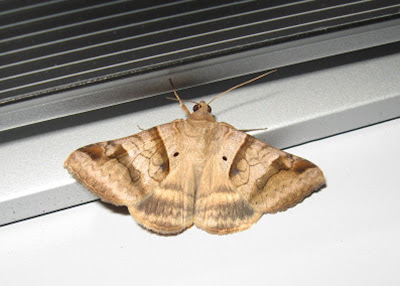 Unfortunately I do not know its biological name or any other details. 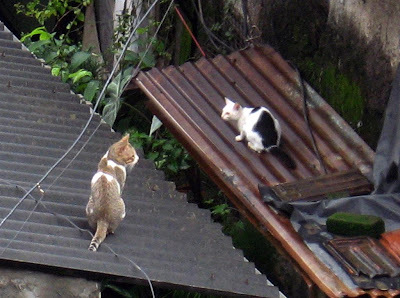 Catty conversations or maybe just chatting up? A great place to do so! 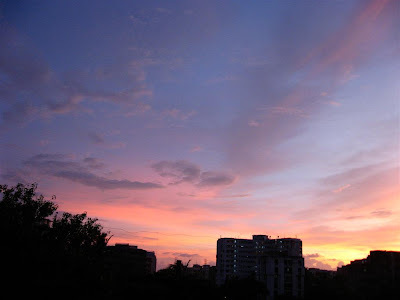 The Mumbai sky at dusk. 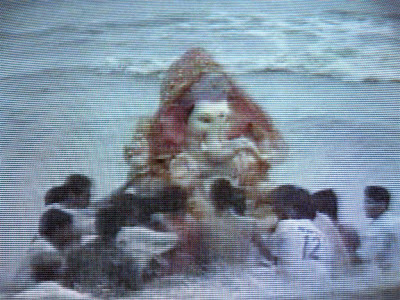 A small Ganesh idol being taken for Visarjan (immersion). The idol is kept for a day, 3days, 5days, 7days or 10days depending on an individual's choice and financial background. The community (sarvajanik) idols are big and kept for a week to ten days. The bigger idols will be immersed on Sunday the 14sep08. 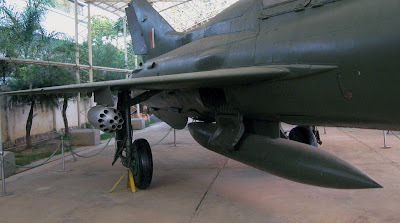 Will endeavour to take pictures of that and post on monday. 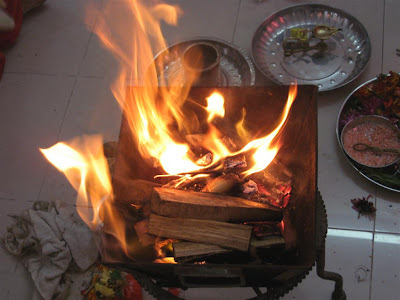 Homa (also known as homam or havan) is a Sanskrit word which refers to any ritual in which making offerings into a consecrated fire is the primary action. The words homa/homam/havan are interchangeable with the word Yagna. Homas are an important religious practise in Hinduism, Buddhism and Jainism. * the making of offerings (whether real or visualized) to them via the fire, amid the recitation of prescribed prayers and mantras. The consecrated fire forms the focus of devotions and it is often maintained on specific types of wood and other combustibles. The arrangement is centered in the middle of a space, which may be either outdoors or indoors. The principal people performing the ceremony and the priests who instruct them through the rituals seat themselves around the altar, while family, friends and other devotees form a larger ring around that center. 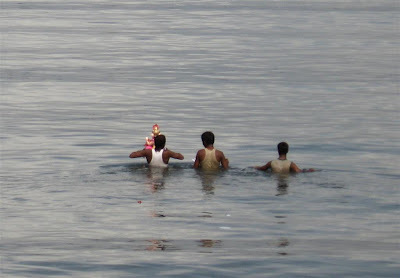 At the end of the Ganesha festival the Ganesha idols are immersed in ponds, lakes, wells, rivers or the sea. 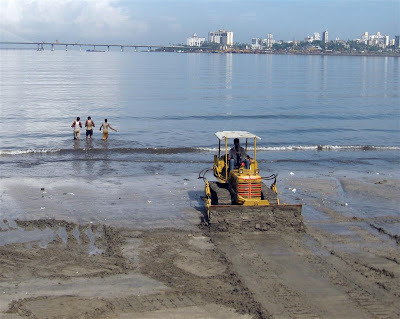 Mumbai being a coastal area, the sea is preferred for immersion. Idols as huge as 20plus feet are brought for immersion along with thousands of tiny ones. In the picture above, the sand on the beach is flattened to enable facilitate the smooth trasnsfer of the idol from land to sea. This beach is in Dadar or closer to Shivaji Park in Mumbai. 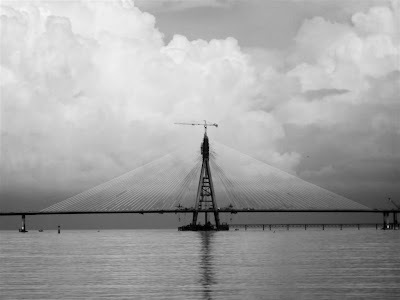 The cable stayed bridge being constructed to link Bandra and Worli acroos the sea in Mumbai. 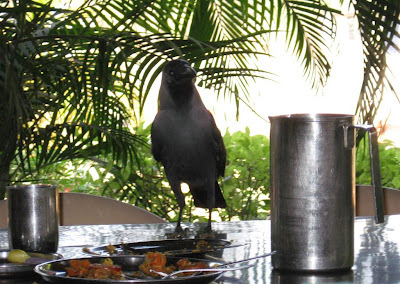 Odd Shots - Eating crow?! Guess who is coming for dinner?! 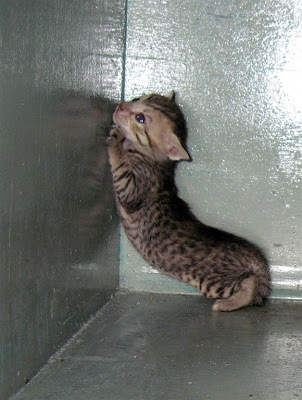 You are driving me up the wall.....!!!! 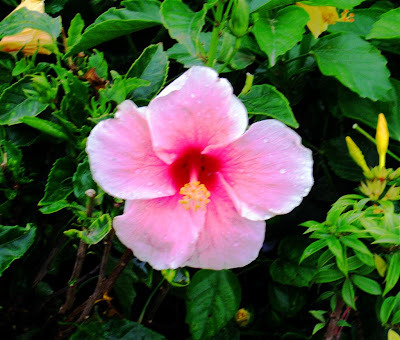 A pink Hibiscus plant on sale at Kalina, a suburb of Mumbai. 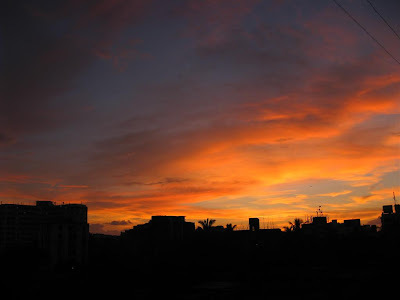 This is how the Mumbai sky has beenat dusk for the past one week, casting a golden glow over the city. Tools - of destruction or self defence?! Today is Ganesha Chaturthi or Ganesha Festival, a day on which Lord Ganesha, the son of Shiva and Parvati, is believed to bestow his presence on earth for all his devotees. 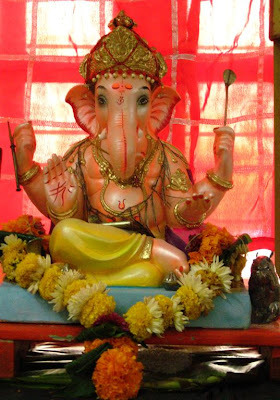 It is also known as Vinayaka Chaturthi or Vinayaka Chavithi in Sanskrit, Kannada, Tamil and Telugu, Chavath in Konkani and as Chathaa in Nepal Bhasa. It is celebrated as it is the birthday of Lord Ganesha. The festival lasts for 10 days, ending on Ananta Chaturdashi. While celebrated all over India, it is most elaborate in Maharashtra,Goa ( Biggest festival for Konkani people all over the world ) Gujarat, Karnataka and Andhra Pradesh, and other areas which were former states of the Maratha Empire. Outside India, it is celebrated by Newars in [Nepal]. 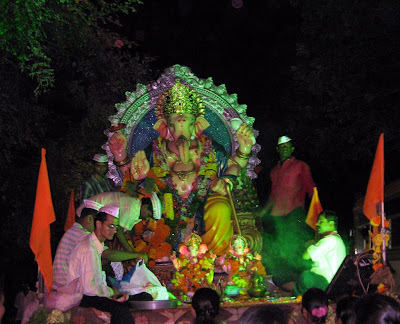 The origin of the festival lies in the Holy Hindu scriptures which tell the story of Lord Ganesha. According to the legend, Lord Shiva, the Hindu God of resolution, was away at a war. His wife Pavarti, wanted to bathe and having no one to guard the door to her house, conceived of the idea of creating a son who could guard her. Parvati created Ganesha out of the sandalwood paste that she used for her bath and breathed life into the figure. She then set him to stand guard at her door and instructed him not to let anyone enter. In the meantime, Lord Shiva returned from the battle but as Ganesha did not know him, stopped Shiva from entering Parvati's chamber. Shiva, enraged by Ganesh’s impudence, drew his sword and cut off Ganesha's head. 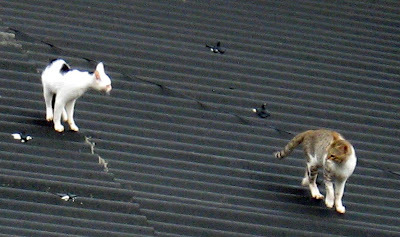 Pavarti emerged to find Ganesha decapitated and flew into a rage. She took on the form of the Goddess Kali and threatened destruction to the three worlds of Heaven, Earth and the subterranean earth. Seeing her in this mood, the other Gods were afraid and Shiva, in an attempt to pacify Parvati, sent out his ganas, or hordes, to bring the head of the first living being with his head towards the north (the auspicious direction associated with wisdom). The first living thing they came across was an elephant. So they brought the head of this elephant and Shiva placed it on the trunk of Parvati's son and breathed life into him. Parvati was overjoyed and embraced her son, the elephant-headed boy whom Shiva named Ganesha, the lord of his ganas. 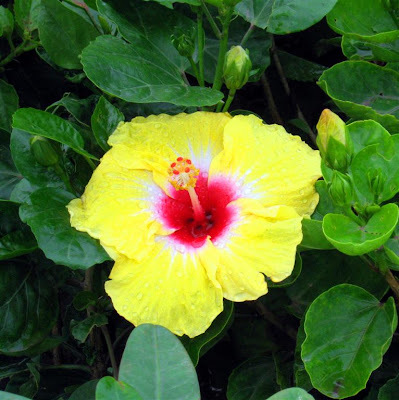 This glorious Hibiscus plant was on sale in the hawking zone at Kalina, a suburb of Mumbai. Odd Shots - Through the roof! Had heard of prices going through the roof, but trees....?!! 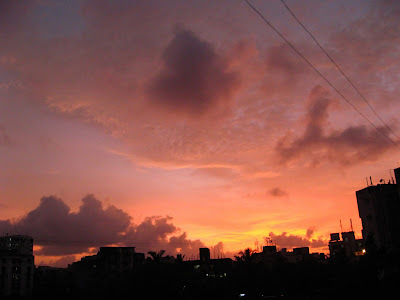 Captured this sight in Santacruz, a suburb of Mumbai.